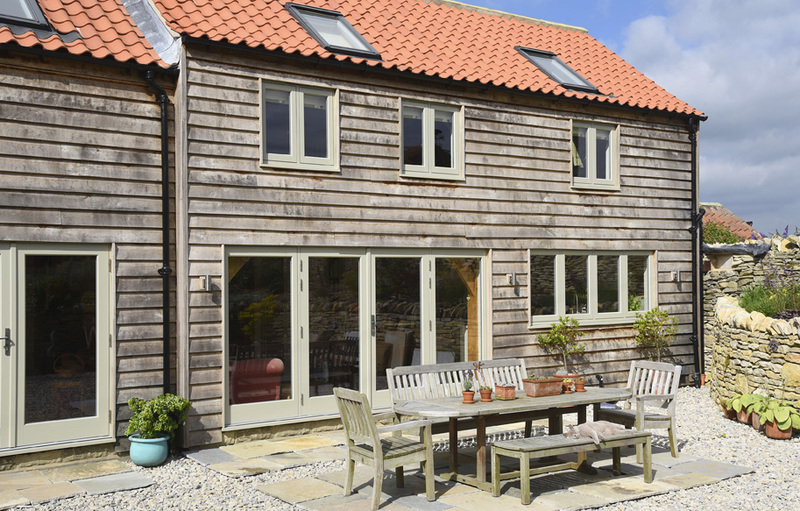 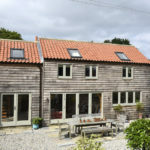 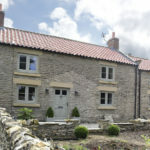 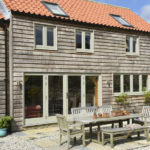 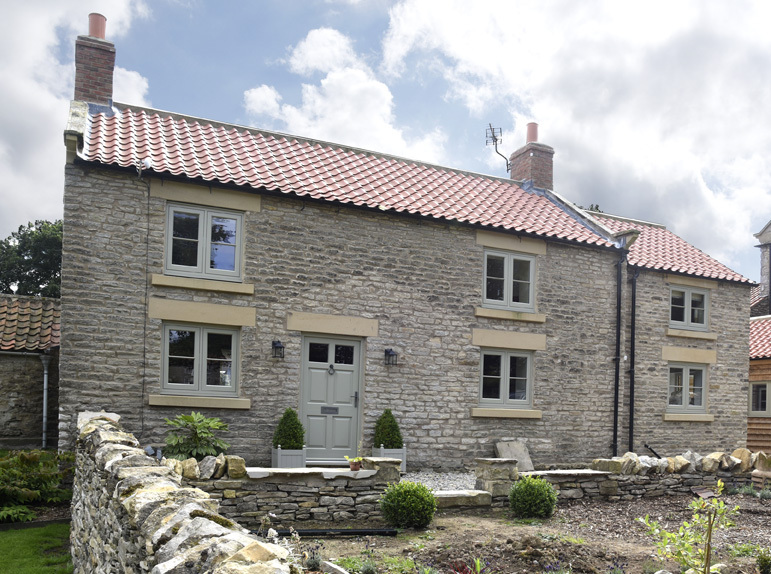 Formerly the post office in this North Yorkshire Moors village, the home of Mr & Mrs MacMillan has undergone a dramatic renovation project including an oak framed and stone extension. 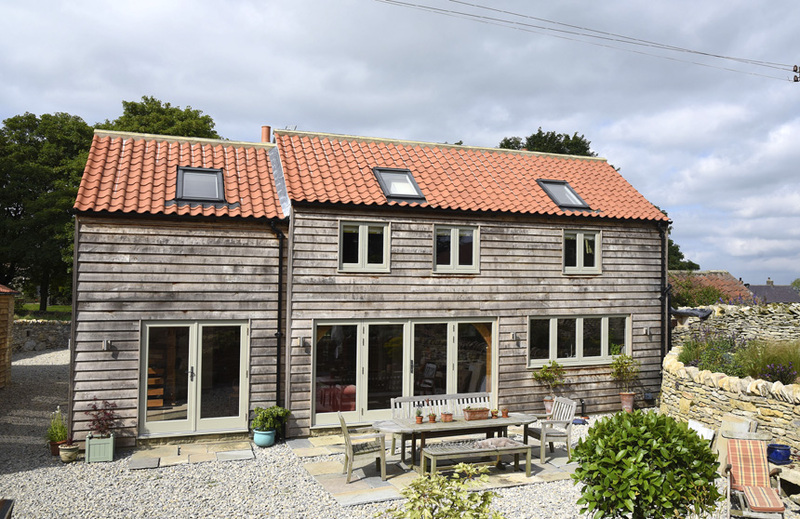 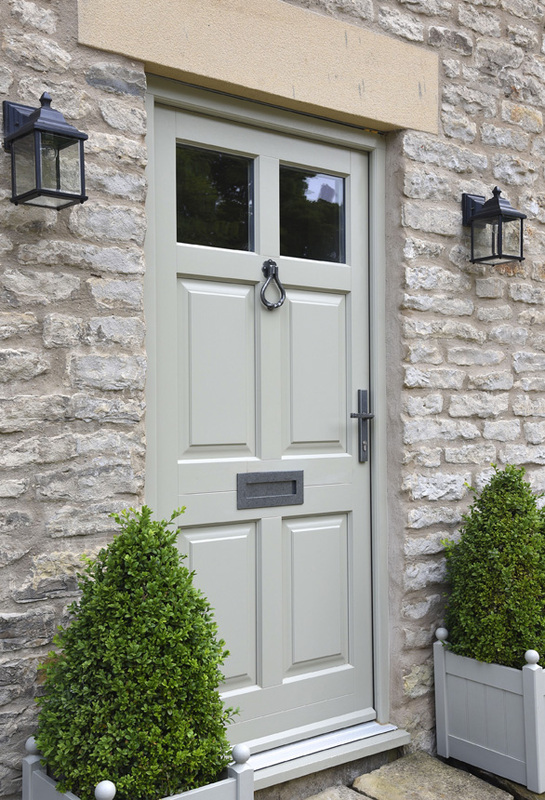 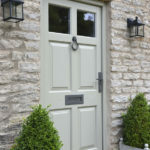 Their choices were dual coloured Engineered Meranti Hardwood flush casement windows and Chalfont front door, painted French Grey externally and Straw internally. 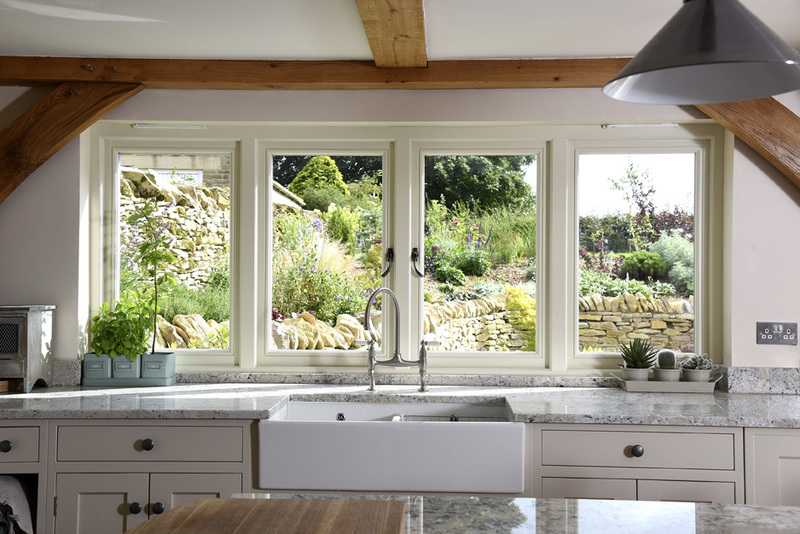 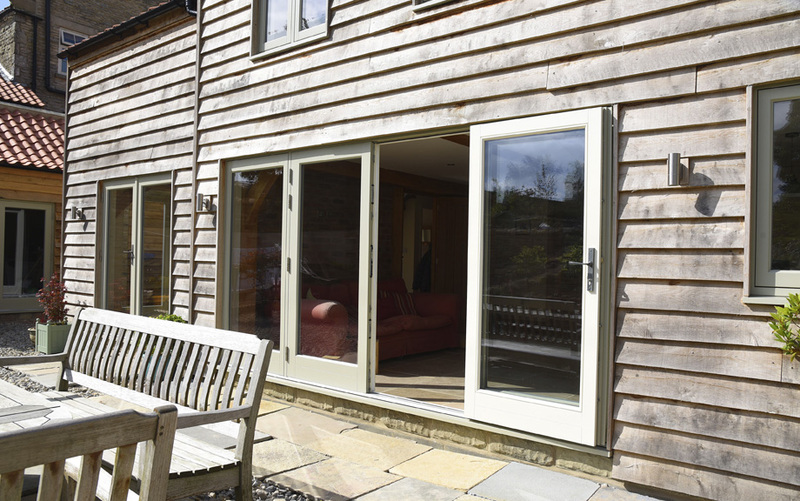 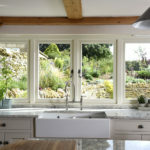 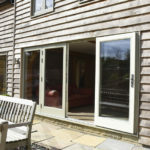 Across the back of the house, sets of large pane French doors are finished in the same colour choices, and liberate the newly extended kitchen and family area.